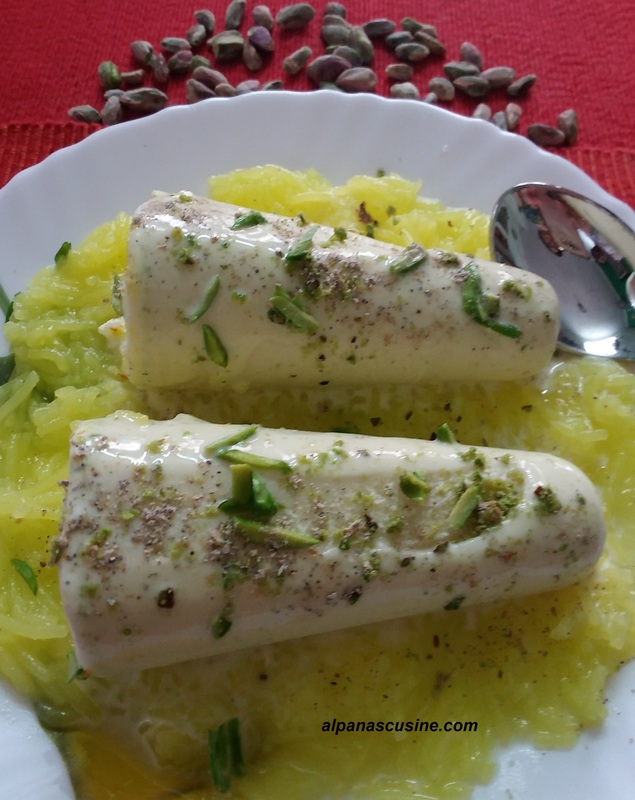 Kulfi is very popular dessert, specially in summer.When we make the combo of Kulfi with Falooda it turn out to be awesome.Beat the heat with this special home made Kulfi Falooda. Full cream milk 1 ltr. Now pour the mixture in the kulfi mould and freeze for 7/8 hours. Place the hot mixture in the sev/noddle maker. Before filling we have to fit the jalie(Nozzle) of medium size hole. Take cold water and ice pieces in a bowl and press the sev maker directly in the water and leave for 10 to 15 minutes. The quantity of water is sufficient to dip falooda.